“Different and unpredictable, this is the company to see." 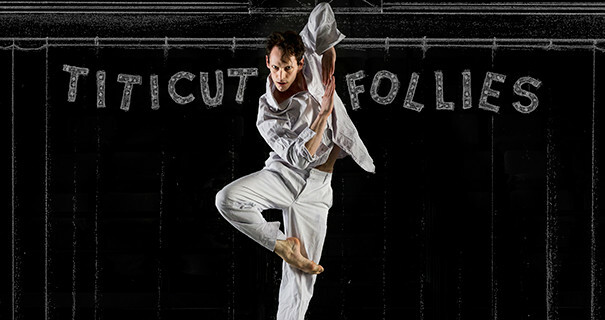 – The New York TimesTiticut Follies – the Ballet, is the stunning product of a partnership between dancer and choreographer James Sewell and famed documentarian Frederick Wiseman. The filmmaker won an Academy Award in 1968 for his heartbreaking account of a prison for the criminally insane. Backed by Lenny Picket’s musical score, Sewell and Wiseman created haunting scenes of interactions between patients and caregivers, and moving portraits of people in battle with their minds. A talk-back session with Sewell, Wiseman and others takes place after the ballet.